Sorry, there will be no refunds granted. Refunds: Please contact Steph O'Neill at 212.755.8383 or click here to email. Join us for a celebration to be remembered! 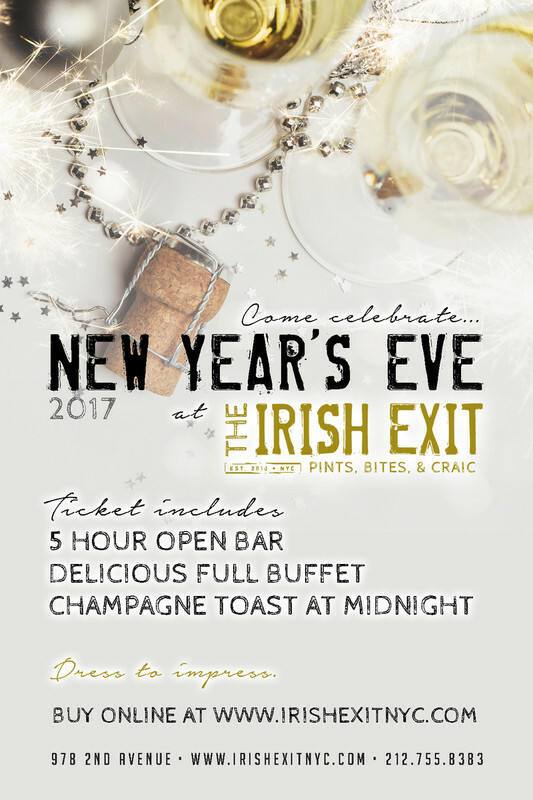 Ring in 2017 with your favorite staff, DJ, dancing, lots of delicious food including a dinner buffet, followed by midnight munchies, a champagne toast, and five hours of drinks included! 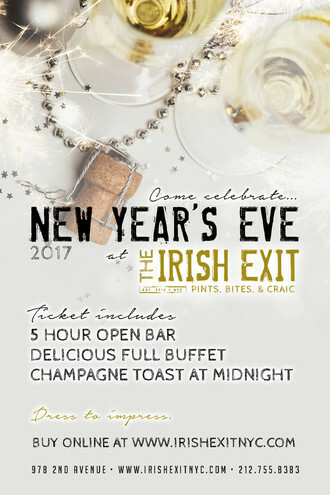 The bar will be decorated and our staff will be dressed to impress- we hope you'll join us in the spirit of a New York City New Year's Eve!